Google Cloud is the first cloud provider to offer NVIDIA T4 GPUs and RTX technology for virtual workstations. SINGAPORE—April 10, 2019—NVIDIA Quadro Virtual Workstation (Quadro vWS) is now available on Google Cloud Platform. GCP is the first cloud instance to offer Quadro vWS on NVIDIA T4, one of the most versatile cloud GPUs. 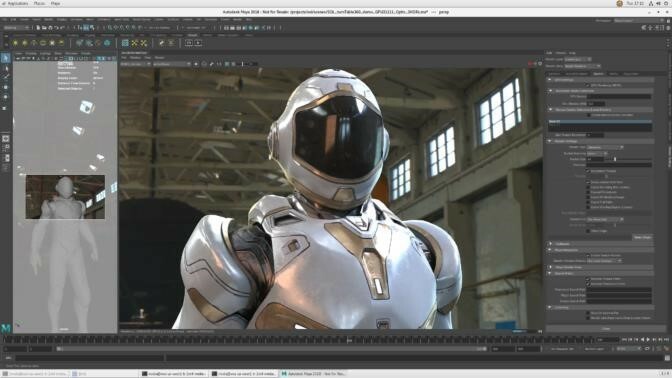 Quadro vWS with NVIDIA T4 leverages the latest NVIDIA Turing architecture and RTX technology, allowing GCP users to deploy next-generation computer graphics — including real-time ray tracing, AI, simulation and rasterisation — from any location, on any device. Enterprises are turning to cloud-based solutions for enhanced performance and flexibility. With GPUenabled virtual workstations, enterprises can provide employees with better experiences on cloud computing, without the cost and complexity of data centres.